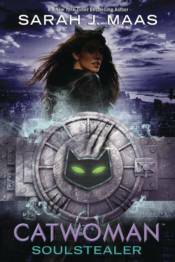 Sizzling with action and suspense, #1 New York Times-bestselling author Sarah J. Maas delivers a coming-of-age Selina Kyle who will steal readers' hearts in a new, highly anticipated YA blockbuster: Catwoman! When the Bat's away, the Cat will play. It's time to see how many lives this cat really has. Two years after escaping Gotham City's slums, Selina Kyle returns as the mysterious and wealthy Holly Vanderhees. She quickly discovers that with Batman off on a vital mission, Gotham City looks ripe for the taking. Meanwhile, Luke Fox wants to prove that as Batwing he has what it takes to help people. He targets a new thief on the prowl who has teamed up with Poison Ivy and Harley Quinn. Together, they are wreaking havoc. This Catwoman is clever - she may be Batwing's undoing.